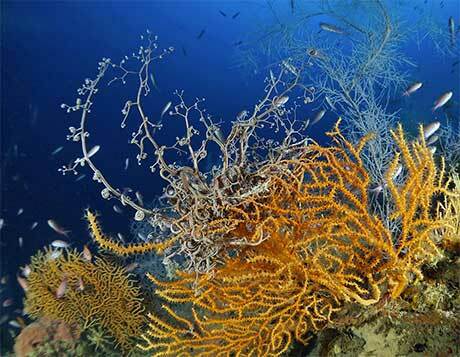 Italy has a long coast line and many diving centres: for those in Sardinia or Ustica see their dedicated sections. 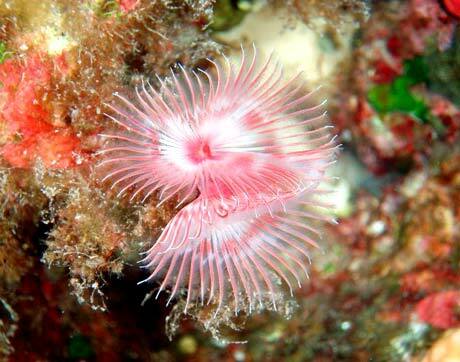 Read on for reviews of dive centres in the rest of Italy. Water temperatures around Italy vary from around 13 oC in February in the North to 26 oC in August in the South. The diving season runs from around May (still cold at 18 oC) to September or, in the south, October. The visibility is generally good and tides not a problem. Argentario Divers are located in Porto Ercole, a charming village dating back to the eleventh century, overlooking the Argentario Mountain. They are easy to reach from Rome, Florence, Siena and Perugia. The Dive Centre is right in front of the sea (it is less than 10 minutes to the nearest dive spot) and is open all year round. Argentario Divers offer many courses from Intro Dive to Divemaster, Rebreather, Scooter, Wreck, Cavern and Trimix from PADI, UTD, UTRtek and CMAS. They speak Italian and English. See also the diving centres in Ustica (a small island off Sicily). Open May to November in Ustica, year-round in Palermo. Speak Dutch, English, French, German, Italian, Japanese, Russian, Spanish, Swedish. Free pickup from local hotels. "Horrible experience! No safety oxygen, all equipment so old and leaking, very short dives (came out with 120 bar!). Do not recommend!" Ponza Diving Center is located on a small island between Rome and Naples. Established 1991, it is a Padi diving center: recreational course Padi and technical course with TDI standards; rebreather Inspiration courses are available. Can arrange accommodation in apartment or hotel. "We offer *PADI*, *CMAS* and *PTA* courses ranging from introduction dives through to instructor level training, including numerous specialities. The diving centre has two Coltri Sub compressors, nitrox and trimix blending facilities, 50 complete sets of diving equipment, a workshop for any necessary repairs and ample wet and dry storage areas. This is supplemented by the beach front location providing changing rooms, showers, sun decks, bar-come-restaurants and other entertainment. We offer diving at sites within the sunken city of Baiae, in the Gulf of Naples and around the islands of Ischia, Procida, Nisida and Capri. Transfer to these sites is provided by our own boat (12 m) or our ribs (8 m and 5 m) which dock directly at the small pier located immediately in front of our beach front location. " Dive centre in the Portofino marine park. "Very good equipment, nice people very helpful during preparation and all through dive before and after. Professional. 50 Euro dive. " PADI Resort in Santa Margherita, Liguria, Portofino and close to Genoa and Pisa airports. A few steps from the port where their covered Modulo M boat is - close to restaurants + North Sails that offer our clients discounts. Exclusive deals with 4* hotel also available. Ital/Eng owned. Multi-lingual team. DWS have a licence to dive in the Portofino protected Marine Park which is home to a "dazzling array of marine life + most famous dive in the Mediterranean � CHRIST OF THE ABYSS, submerged in memory of a scuba-diving pioneer". Open all year, SSI centre. Argonauta, established 1992, is an official MARES diving centre, open March/November, is situated in the tourist port just a few metres from the jetty and dive boats, next to a small wooded area. The diving center offers one and two-tank dives, night dives and courses for all levels, toilets and changing rooms. Single dive � 37,00. Special price: 1 week with apartment accommodation + 6 dives only � 329,00 per diver. Special prices for groups. Please send your questions, add your comments, or review a dive centre in Italy.